The Youth Hostel Lackenhof has become more trendy and popular over the last few years and whether you are exploring the natural park “Ötscher – Tormäuer”; having fun at the in-house climbing wall or helping at an organic farm – holiday vibes are guaranteed. 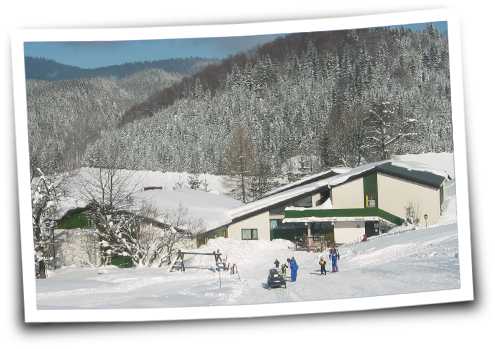 Because of its location the hostel is an ideal starting point for sport-trips around the area. Cosy rooms, friendly staff and an excellent home-style cooking are typical for the hostel and make everybody feel at home. For families and school classes the most important part for having the perfect holiday is the relaxed and easy atmosphere. The wide ranges of leisure facilities around the area are ideal for sport and ecological tours.